Santa Rosa, Calif. – April 26, 2016 ATIV Software announced today the release of the ARVO 2016 mobile conference app, built on the dynamic EventPilot platform, for the Association for Research in Vision and Ophthalmology (ARVO) 2016 Annual Meeting. The app includes unique capabilities such as continuing medical education (CME) credit tracking and instant access to more than 6,000 abstracts. Learn more at http://ativsoftware.com. EventPilot conference apps make scheduling and planning large medical meetings easy. The event app provides intuitive navigation tools such as quick search and smart filters, and color coding. With a simple click in the app, users can transmit their request for credits from CME-eligible sessions. Attendees can read thousands of abstracts directly in the event app offline. An online itinerary planner provides desktop viewing and syncs schedule changes across all platforms. EventPilot allows attendees to filter CME-eligible sessions and transmit their continuing medical education credits directly within the app. Designed for scientific and medical events, EventPilot meeting apps natively contain all conference proceedings, including offline research abstracts, for truly paperless events. Advanced boolean offline search ensures instant access to abstracts and WiFi independence. Meeting planners can incorporate the Online Planner directly into their meeting website, offering attendees an easy scheduling tool that includes a two-way sync with the native conference app. The free iPhone and iPad event app is available now in the App Store. The free Android event app is available in Google Play. 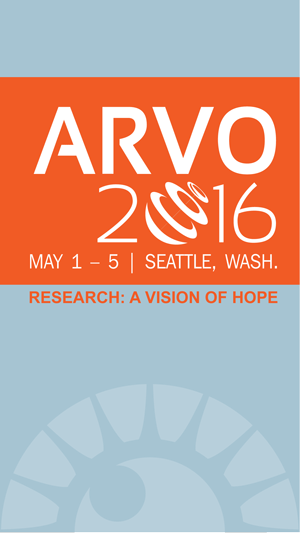 Search “ARVO 2016”. A web version is available for Windows Phones and other web-enabled devices. The Association for Research in Vision and Ophthalmology (ARVO) is the largest eye and vision research organization in the world. Members include nearly 12,000 eye and vision researchers from over 75 countries. ARVO advances research worldwide into understanding the visual system and preventing, treating and curing its disorders. Learn more at http://www.arvo.org.